Dundrennan Abbey seen on a gorgeous, warm summer's day almost seems like a stage prop set against the backdrop of the peaceful scenery. It is extremely well tended, and the lawn feels and looks more like a soft green carpet than grass. 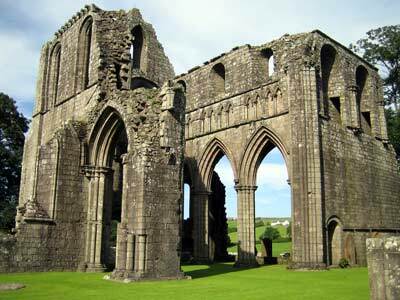 Dundrennan was one of the abbeys set up during the reorganisation of the Scottish Church, which began in the early 12th century. 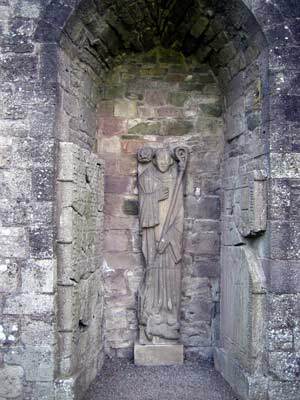 It was founded in 1142 for Cistercian monks, either by King David I, or by the great magnate of the area, Fergus Lord of Galloway. The first monks were brought from the Cistercian order's nothern missionary house at Rievaulx in Yorkshire. The very austere Cistercian order was founded at Citeaux, in Burgundy, in 1098. 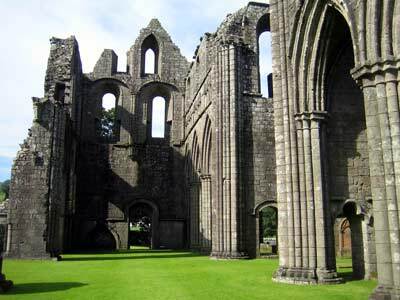 Under the leadership of St Bernard, Abbot of Clairvaux, it spread to England in 1128, and Scotland in 1136. In the early days, the monks lived so austerely that life-expectancy was short. Nevertheless, the fervour of the age led to vast numbers flocking to join the Cistercians. As with the other orders, the long day of services began in the early hours of the morning, and continued to the early evening. Between the services were periods of spiritual and manual work, all of which were supported by a vegetarian diet. To give the monks more time for spiritual activities, however, most of the heavy labour was carried out by lay brethren. These were illiterate men, usually of lower social origins than the monks, and who often became monks later in life. 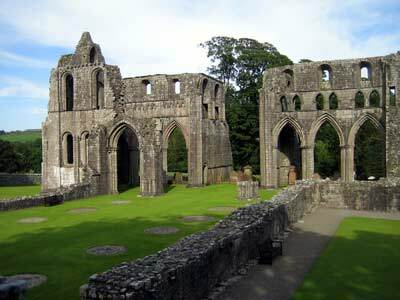 Mary, Queen of Scots spent her last night on Scottish soil at Dundrennan Abbey. She stayed here on the night of 15th May 1568, and then left the following day to cross the Solway Firth to England. She probably stayed in the Commendator's House, which was built in the west range.